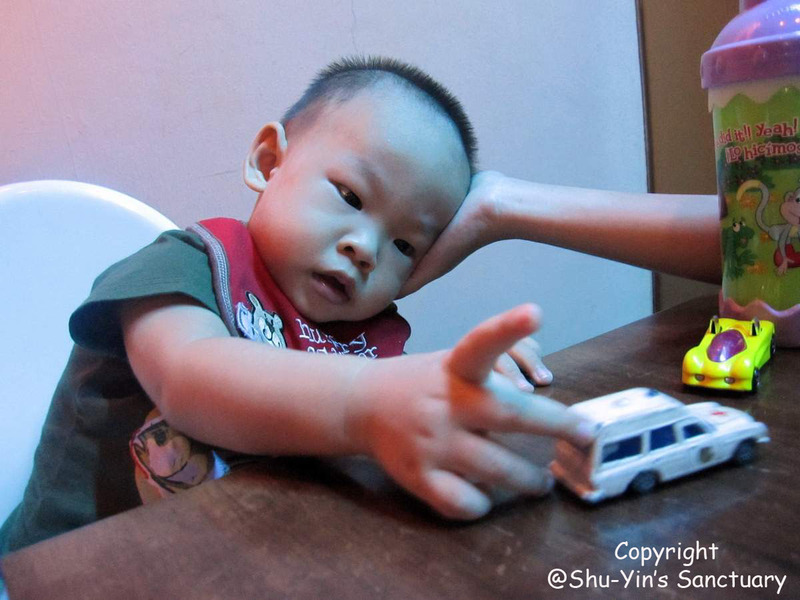 Shu-Yin's Sanctuary: Wheeling In Glee! 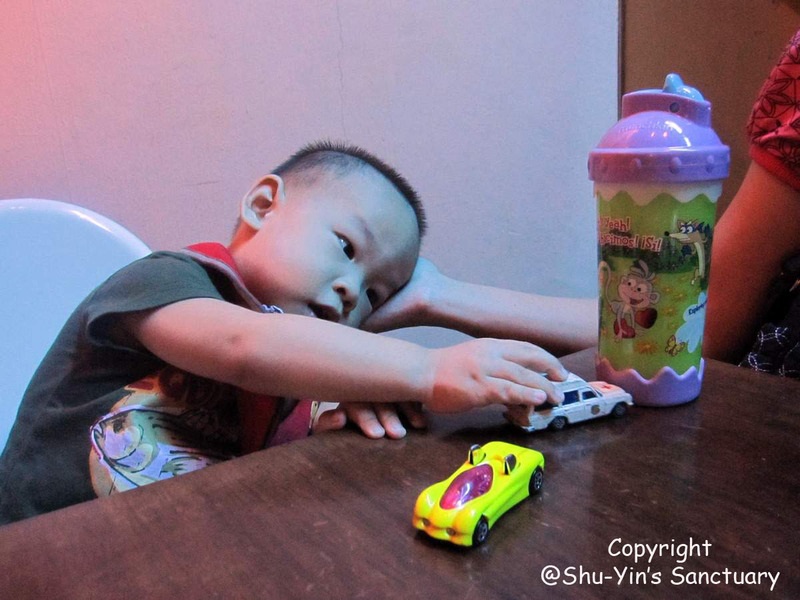 You know Shern likes to lie down on the floor, facing sideways with one cheek on the floor, and wheel his toy cars, so that he can see the wheels go round and round. Like this. 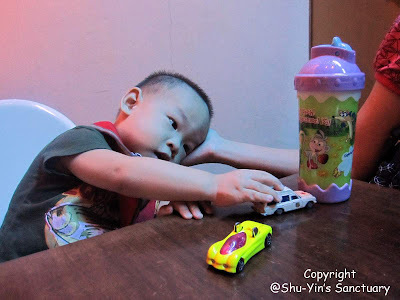 So when we eat out, we always bring some toy cars for him to keep him occupied. And when he does play with them, he still likes to do that. But the problem is that he is not on the floor but on the highchair. He still lean his head over to one side, but with MY hands supporting his head and he gets to wheel his toy cars in glee!